The clothes that we wear today could be the clothes we see disappear in the future but then make a big comeback because they’re ‘vintage’, well it’s the same with household items. Generally, there are plenty of household pieces that we’re glad to see the back of, but there are some that we’re glad to welcome back into our homes again. Together with global stairlift manufacturer, Acorn Stairlifts we take a look down memory lane at the retro items that are making a comeback. The original chaise longue dates back to day beds, that were used in ancient Egyptian times and Greece. In the 18th century, it was known as the ‘fainting’ couch so that women who couldn’t bend at the waist because of their corsets could instead fall gently in reclining position. According to interior designers and furniture retailers, the style is now making a comeback. The chaise longue, translates to ‘long chair’ in English and is recognizable as a sofa that take the shape of a chair, but it is long enough to support lefts. These days, it makes a nice addition to a conservatory or orangery and provides a relaxing spot to look out onto the garden. Some are big enough for two and can act as a sofa for couples and families. Vinyl records became popular between the 50s and 90s After this, they were replaced by the Compact Disc, before mp3 players and then digital downloads. However, their popularity returned as people dug out their record collection and bought new music in the classic format too. In 2016, vinyl sales reached grew 53% compared to the previous year. In April of the same year, Fortune reported that vinyl record sales were at a 28-year high. For a lot of people, the sound quality that the vinyl produces is preferred – a rich sound that digital sound can’t replicate. After this, they were replaced by the Compact Disc, before mp3 players and then digital downloads. However, their popularity returned as people dug out their record collection and bought new music in the classic format too. In 2016, vinyl sales reached grew 53% compared to the previous year. 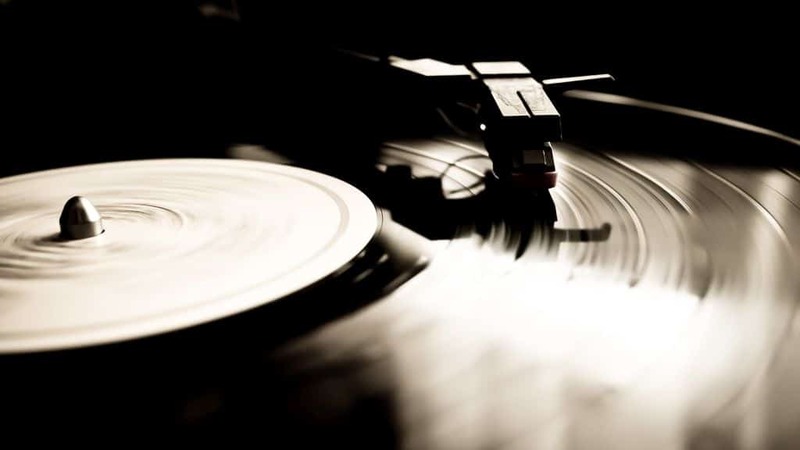 In April of the same year, Fortune reported that vinyl record sales were at a 28-year high. Many pubs across Europe, had jukeboxes in them that give customers the chance to choose their favorite songs out of the thousands available. However, as digital downloads took over and video platforms such as YouTube gave customers access to millions of songs, they experienced a decline. However, the Jukebox seems to be making a comeback. Chris Black, managing director of Sound Leisure (one of the last two makers of hand-built jukeboxes in the world), said that his sales doubled from 2012 to 2016 and he is witnessing a rise in popularity. He says that it’s down to the distinctive sound of a juke box, its ‘more bass-y and more boom’ and this is what is driving the sales. Some jukeboxes can contain up to 2,000 tracks and make a nice household item for music lovers. Instant Camera populated in 1940, after instant film begun. People loved the novelty of a tangible picture minutes after taking it, without having to visit a store to get them printed — the invention transformed the photography market! Unfortunately, the production of the instant camera began to fall when the digital camera was introduced, then followed the smartphones that became the primary tool for taking photos. With digitalised photos becoming the norm, the instant camera brings back the idea of keepsakes and with only one chance to take the photo, eliminates the obsession with capturing the perfect shot. The comeback of the instant camera has been popular, and there are many accessories that can now be purchased to support the product. For example, coloured camera cases are on sale and filters are available to take different shots. It was during the 70s and 80s that the Sodastream peaked at popularity with the tagline ‘get busy with the fizzy’. It allowed people to make their own carbonated drinks at home, through mixing a flavoured syrup with the soda. Business halted in 1996 and the product was reintroduced in 2010 to a newer market. SodaStream Germany, had launched a sparkling gold ‘alcoholic concentrate’ that appealed to prosecco lover, allowing them to make their own homemade bottles of prosecco. The machine has evolved over the years too, into a slimline machine that is available in a range of colours.